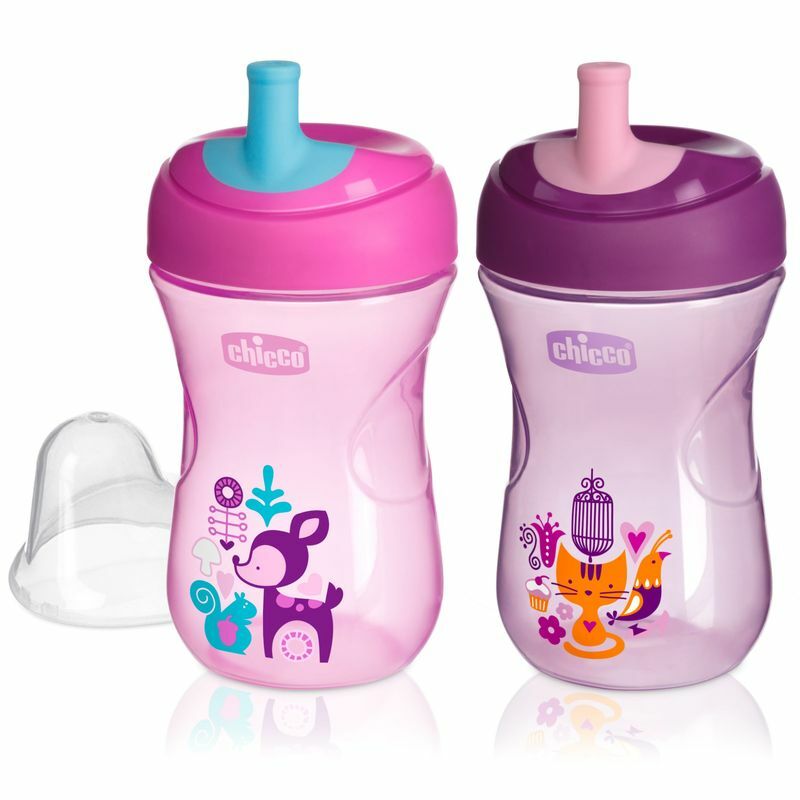 Chicco Advanced Cup with first straw trainer introduces babies to straw shaped spouts. This semi-firm spout cup has a tough build to stand up to the new teeth. This is a 'no spill sippy cup' with sip activated flow for spill-free drinking. Remove the spill-proof valve to practice free-flow drinking.